Son of Mr and Mrs Arthur Campbell of Wye House, Downview Rd., West Worthing, Sussex. The son of Denis Tregosse Frost (Solicitor) and Sophia Margaret Frost, formerly Messenger. 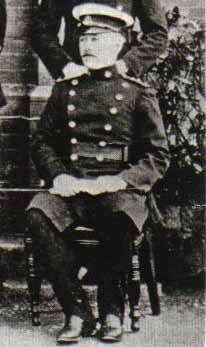 His two brothers also held commissions in the Great War: Major Oswald Milies T Frost Dorset Regiment. 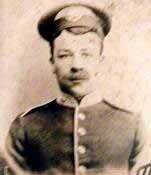 Captain Russell Tregosse Frost Cheshire Regiment. Sp. Mem. III. A. 7. Son of the late Mr. and Mrs. S. Jones; husband of Geraldine Esme Belinda Robin Hall (formerly Jones), of Berry Hill House, Lichfield, Staffs. Sp. Mem. III. A. 4. Son of Ursula Mary Atkinson, of Audlem Lodge, Broadstone, Dorset, and the late Rev. Canon Arthur Atkinson. Son of Maj. F. H. Mahony, (late) York and Lancaster Regt., and Mrs. Mahony; husband of Ethel C. Bliss (formerly Mahony), of Montecito, Santa Barbara, California, U S A. 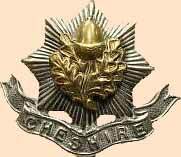 Served in the South African War (Medal), and in the Aro Expedition, Northern Nigeria (African General Service Medal). Son of Joseph and Hannah Greenhalgh, of The Cottage, Heyes Lane, Timperley, Cheshire. M.A. of Victoria University, Manchester. Son of the late Major Irving Hartford (22nd Regt. ); husband of Dorothea Ramsay Hartford. Son of M. Maitland-Addison of 12, Arundel Terrace, Brighton; and the late Maj. Alfred Chamberlain Maitland-Addison (71st Highland Light Inf.). Son of William Morton Rich, of Mount Victoria, New South Wales, Australia. Son of Prebendary and Mrs. Anderson, of 20 Chester Street, London S.W. Set a World Record of 56.8 secs for 400 yds hurdles at Crystal Palace, 16 July 1910. Son of Catherine E. A. Downes, of Aspley House, Aspley Guise, Beds., and the late Lt. Col. C. V. Downes. 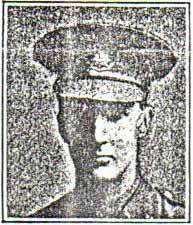 His brother, Lt. Villiers Chernocke Downes (Bedfordshire Regiment) also fell, on the 18 October 1914. Son of Robert Howard Nicholson and Beatrice Susanna Nicholson, of "Aulay," Kidbrook Grove, Blackheath, London. Born at Stonehouse, Devonshire. Son of Charles Mansfield (Farmer) and Georgiana Mary Hodsoll, late of Loose Court, Loose, Maidstone, Kent; husband of Olive Milne Rae (now Steen) (m.: 1 June 1914), of 24 Bloomfield Terrace, Chelsea, London. A well known footballer (played for the Corinthians and captained the Army team on occasion) and athlete. CWGC gives date as 15th. Son of Henry and Mary Stables. Captain Harry was killed on the third day of the First Battle of the Somme, probably during the successful British attack on La Boiselle. He had joined the 1st Battalion on 29 November 1914, but by July 1916 must have been attached to the 9th Battalion (part of 19th Division). Captain Lloyd was wounded during the attack on Voilaines on 17th October 1914. He returned to the Battalion on 24 December, with 4 fellow Officers and 444 NCOs and men from England. He was among 6 Officers killed when the Germans launched a surprise attack during the Battle of Loos - probably on 3 October 1915. The following Officers joined the Battalion during 1914 and were killed in action later in the War. Son of George Mark and Agnes Frances Gleed, of London. He was wounded at Crepy on 1 September 1914 when he refused to retire without C.O. 's orders.